It’s a fact: Weight gain and the accumulation of stubborn excess fat, especially when it is concentrated around your mid-section, is unquestionably one of the symptoms of adult-onset growth hormone deficiency. However, we want to clear up a few of the more common myths that have developed around how to lose weight on HGH injections therapy for those adults who have been misled into believing that growth hormone replacement therapy is primarily used for weight loss. This doctor-supervised therapy is primarily prescribed for patients who have developed insufficient growth hormone production due to illness, injury or progressive physiological circumstances. The adult-onset version of this disorder is caused by the premature decrease in growth hormone levels, placing them below the normal range for any patient’s particular age group. The symptoms that having insufficient growth hormone produces are the direct result of decreased cellular, organic and systemic function – and the inability to lose increased fat stores is due to a decrease in metabolic function. But there are other primary symptoms that growth hormone loss produces, and they are also telltale signs of hormone deficiency that should not be overlooked by any adult who wants to find out how to lose weight on HGH injections. They include the loss of energy and stamina; moodiness or mild depression; reduced immunity to illness; diminished sexual desire; cognitive decline; and restless sleep. As in all medical issues, the patient’s entire symptomatology is evaluated by doctors, not just in the context of one or two particularly troublesome ones, such as the inability to lose excess fat. So don’t expect a knowledgeable and experienced hormone therapy doctor, or any other doctor, to legitimately prescribe HGH injections for you strictly for the purpose of helping you to lose weight. The fact is that it is illegal for any adult to use them unless they have been prescribed to treat a verified condition of growth hormone deficiency. Another common myth that we would like to dispel is that there is some sort of magic dosage of injectable human growth hormone that is specifically most effective for weight loss. There isn’t – because that is not the way that hormone replacement doctors determine the optimal dosage for any particular patient. Dosages for growth hormone replacement patients are determined by the extent of their hormone loss and the severity of their symptoms. A specific blood test is performed, which measures IGF-1 levels present in the patient’s blood stream (IGF-1 is Internal Growth Factor) because that measurement provides doctors with a more reliable indication of the extent of deficiency. Yet there are other factors to be considered in determining a patent’s ideal dosage, which is defined as one that will effectively increase growth hormone levels without causing side effects. Current age and weight; medical history; and general overall physical condition are all evaluated by hormone therapy providers in arriving at the best dosage for each individual HGH therapy patient. The right dosage will definitely be one that supports how to lose weight on HGH injections therapy; and it will also support substantial improvement in all other associated symptoms of deficiency that a patient has. When you look are your physiological condition as a whole rather than as separate components, it gets easier to understand how having a lack of energy and exercise; a slower metabolism; feelings of stress and anxiety; poor sleeping patterns; and frequent colds or other minor illnesses can all contribute to stubborn weight gain. Using injectable HGH treatments will provide positive results in eliminating all of these symptoms. Fact: You Need a Prescription to Use HGH Injections Legally. A legal prescription means one that has been issued in compliance with the medical and legal guidelines for the appropriate use of injectable human growth hormone treatments. Admittedly, some doctors and clinics, especially those whose main area of professional practice is anti-aging medicine, have been skirting these guidelines. But federal regulators have been increasingly aggressive with their efforts to prosecute both doctors and patients who have been involved in prescribing and using HGH injections inappropriately. Yet it is a medically proven fact that adults who already have adequate and normal growth hormone levels for their age will not experience any significant benefits from increasing their GH levels excessively. 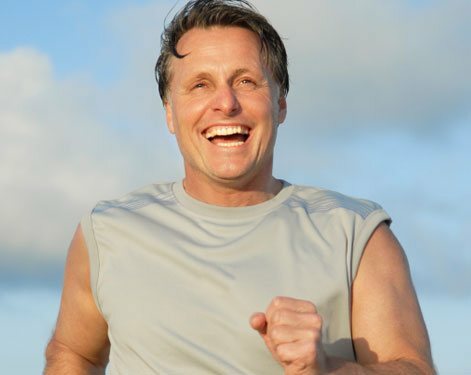 And as any experienced growth hormone replacement medical provider will tell you, the best way how to lose weight on HGH injections is to supplement your therapy with healthier dietary and exercise habits. The creation of bio-identical human growth hormone is a medical breakthrough that has provided important health advantages and symptoms relief to thousands of legitimate patients. Many of these advantages, such as providing patients with the ability to lose unhealthy excess fat and improve muscle tone, have been touted in the media. But sometimes the media sensationally characterizes the benefits of this therapy as a weight loss or anti-aging miracle, and this is not the position of the US medical community. Their position is that HGH injections therapy is a medical treatment for a specific hormone disorder; but they also agree that among its proven results is the rapid loss of excess weight.